Updated on November 16, 2017. The Justice Department threatened to cut federal funding for the state of Vermont and the city of Burlington in letters that warned each may be violating federal immigration law. The government agency sent the letters Wednesday to 29 different jurisdictions "that may have laws, policies, or practices that violate 8 U.S.C. 1373, a federal statute that promotes information sharing related to immigration enforcement." 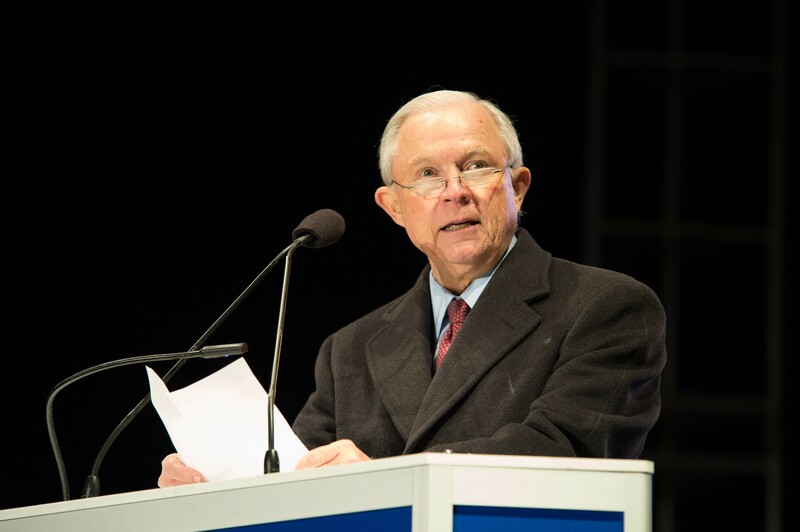 “Jurisdictions that adopt so-called ‘sanctuary policies’ also adopt the view that the protection of criminal aliens is more important than the protection of law-abiding citizens and of the rule of law,” U.S. Attorney General Jeff Sessions said in a statement. “I urge all jurisdictions found to be potentially out of compliance in this preliminary review to reconsider their policies that undermine the safety of their residents." The letters give each jurisdiction until December 8 to prove they're in compliance. Vermont would lose nearly $500,000 in Byrne Justice Assistance Grants if found not in compliance, while Burlington would lose about $40,000 in federal funding, according to Sen. Patrick Leahy's (D-Vt.) office. In a statement, Leahy blasted Sessions for the threat, calling it "shameful." Congressman Peter Welch (D-Vt.) chimed in with a dose of criticism for President Donald Trump on Wednesday night, saying the letter was an effort to "strong-arm" the state to submit to federal immigration policies. He urged the courts to block the decision. Sen. Bernie Sanders (I-Vt.) called the decision a way for Trump "to divide us up rather than go forward with comprehensive immigration reform." "We cannot and do not want to live in a society where people are afraid to call the police to get the help they need because they are worried about the consequences for their own lives," Sanders said in a statement. The Justice Department letter to Queen City Mayor Miro Weinberger takes specific aim at the Burlington Police Department's Fair and Impartial Policing Policy. In a retort Wednesday evening, Weinberger said that the BPD policy is in compliance and "we do not believe the federal law requires us to implement the current president’s draconian immigration policies. "Regardless of who populates the administration in Washington, the federal government has no authority to deputize Burlington police officers to enforce federal civil immigration laws," Weinberger said in statement. "We will be responding to the letter by the deadline and forcefully arguing our case." "We are confident we are compliant with federal law and worked closely with the legislature last year to ensure that," Gov. Phil Scott said in a statement Thursday. Scott added that Sessions' letter cites an old version of the law, which was updated earlier this year. Only two other states, as well as Washington, D.C., made the list. The rest are cities and counties, most of which are in California.